- Fixed: Correct file path for Mod Organizer user. 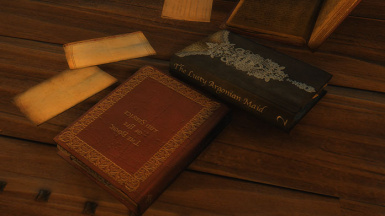 - Uploaded: Optional file for Book Covers Skyrim - Lost Library. 1. Is it compatible with sorting mod? 2. I just want only weightless book bro. WTF IS THIS!? - You've come to the right place! You can choose only book category or whatever you want from a custom option in the installer. 3. What is the difference between this mod and others? - You can choose what you want instead of making all items weightless. 4. Weightless item? Are you serious? THIS IS NOT IMMERSIVE. I cant get this to work with CACO. Am I doing something wrong? Good mod, but I am getting a potential problem. My food seems to not be factored in. I have a lot of food, and my weight always goes up after I get into the game. To test things, I am going to make a new profile in my mod manager, and playing a new play through. 5 smiley seal of 100% approval!!!!! I endorse and highly recommend this mod!!! It took multiple mods when I played SLE to get the same results that this one mod provides in SSE. Having so many weightless items removes so much time wasted just travelling to and from my player homes just to drop off more loot. This mod is required in my game. I don't think I could or would play without now. I have found that the game still limits my capacity to carry items somewhat. Once I get too many thousands of items in inventory I experience lag or delay in the looting and trading menus. 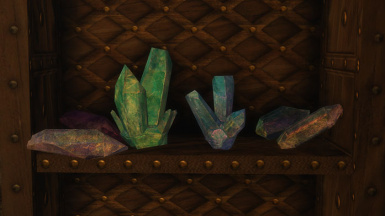 I say this with a smile because this is due in large part to some of the crafting cheat chests that I use giving me literally thousands of ingots, ores, soul gems, precious gems, ingredients and other items on a regular basis. The game just can't keep up when I'm carrying several hundred thousand items in combined inventory of those weightless items. 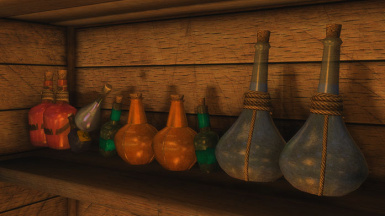 So, I usually drop off most of what I collect from those mods either at my central house or stash them in one of the containers inside the Staff of Shalidor. If you like this mod you may well like the staff too. 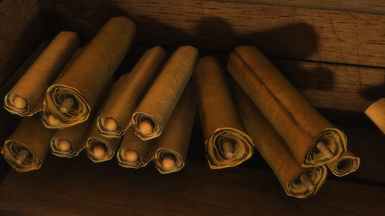 For any not familiar with the Staff of Shalidor, it's an 8 pound player home with crafting amenities on a stick! It's also a powerful shock weapon that greatly compliments the Staff of Magnus. I find the staff compliments Weightless Overhaul quite nicely, especially for hoarders like me! Have you tried turning off and on again? I'm wondering why you revert all fix from USSEP, although you said it was compatible with USSEP. He was talking about other mods reverting the fixes, not this one. 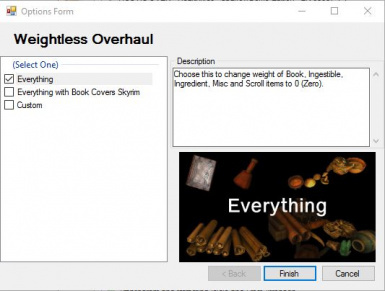 "Most weightless mods use records from Vanilla Skyrim(Skyrim.esm and DLC). It will revert all fix from USSEP." PSA for anyone using skyre, potions get messed up with this mod, the overtime effect corrupts. I came across a little issue and not sure if you can help. i installed this mod and tried it out. it seems to work well. However i did find all the book covers went back to default. Now i know you have a patch for the Book covers mod but i dont have the book covers mod installed directly. In my game its already built into the Legacy of the Dragonborn mod. So i am thinking that your mod isnt realising that the LOTD mod actually replaces the covers and so sets them to default? Is there a way to fix this? How can i get your mod to detect my legacy of the dragonborn mod and therefore not touch the book cover textures? 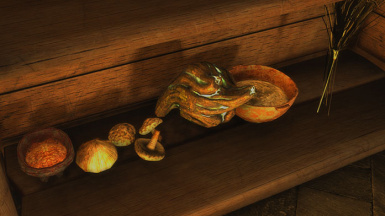 Dunno if you're still doing anything to this mod, but you missed Horker Stew. Horker Stew in my game is 0 weight. Finally I found a weightless mod which is compatible with my mod list! thanks man! 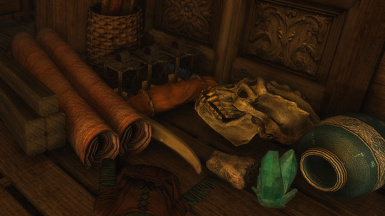 Any chance you may do a patch to add all the stuff in Beyond Skyrim - Bruma SE?